With artistry and imagination, genuine uncirculated coins become gleaming, dimensional jewelry. 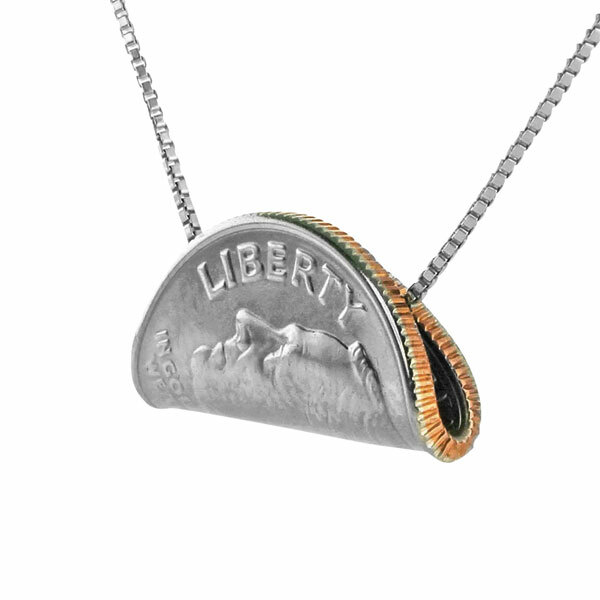 Our Rolled Dime Necklace features a genuine dime that has been hand formed into a rolled shape so the ends touch each other. 18" sterling silver box chain slides directly through the form. Hand made in USA.